The Yema Spacegraf was designed in collaboration with France's National Center for Space Studies (CNES). As part of CNES' prototyping tests, the Yema Spacegraf has undergone a series of sub-spacial test flights to validate its solidity and good functioning under extreme atmospheric conditions. These tests were carried out at 35 km altitude above the Earth. In 1982 a French Spaceman, Jean-Loup Chrétien, flew from the Baikonour base for a 10-day trip into space. 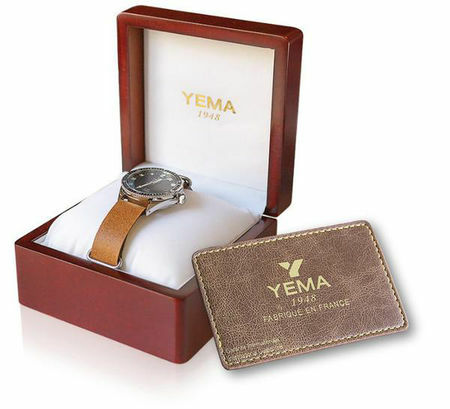 On his wrist, he wears the very first French watch in outer space, the Yema Spationaute 1. In 1985 the Discovery shuttle takes off with on board Patrick Baudry and his Yema Spationaute II for the first Franco-American orbital flight mission.